The upcoming adaptation of the sci-fi novel Brilliance seems to be having a hard time maintaining a lead actor. Last week we learned that Dallas Buyers Club Academy Award winner Jared Leto was in talks to replace Will Smith in the Legendary Pictures-produced project, and now new reports have surfaced saying that Leto is out too. This news comes to us from Nikki Finke, which says that actor met with director Julius Onah about Brilliance earlier this week, but he ultimately decided that he didn't want to be a part of the movie. The film would have seen him play Nick Cooper, a federal agent with special abilities who lives in a world where 1% of the population is gifted as well (and they're called Brilliants). The story finds Cooper on the hunt for one of these Brilliants, who also happens to be a terrorist bent on creating mass hysteria and starting civil war. Author Marcus Sakey penned the book, but it's blockbuster screenwriter David Koepp - the man who held the pen for Jurassic Park, Mission: Impossible, Spider-Man and War of the Worlds - is handling the script. Noomi Rapace, of Girl With The Dragon Tattoo and Prometheus fame, is playing the female lead. That terrible pun is, of course, me segueing into theories about Marvel Studio's Doctor Strange. Shortly after director Scott Derrickson came aboard the comic book movie earlier this month, we first heard that Leto was one of the actors who was being considered to play the eponymous part. Those rumors were solidified this past week when Leto's name was mentioned as still being a contender for the part in a story about the project hiring a new writer. Is it possible that the Oscar winner made a commitment to Marvel and has to keep his slate clear in the coming months as a result? 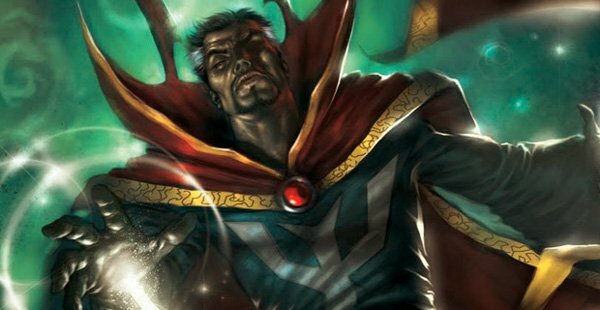 Until Leto himself comments on what exactly happened with Brilliance we will probably remain in the dark, but with San Diego Comic-Con coming up in about a month don't be surprised if we start hearing more Doctor Strange news very soon.